Children and adolescents are not immune from developing the disease of addiction. Addiction can strike people of all ages, at virtually any time. Genetics and environmental influences are both probable causes that can explain why addiction may become a problem for your child. If your child has a problem with drug addiction, we know how scary and heartbreaking this can be. You are not alone. Parents everywhere are asking themselves hundreds of questions. Why did this happen to my child? What can I do to help my child overcome their addiction? Is this my fault? We are going to answer those burning questions and more today. We will also provide an evidence-based solution for your family. We feel it is of utmost importance to address the “is it my fault” question before we go any further. Assigning blame for the presence of a substance abuse disorder serves no one. The fact is, no one single person on this planet is powerful enough to cause an addiction in another. Addiction is truly a disease of both the mind and body. When a loved one gets a diagnosis of cancer or diabetes, no one in the family system is consumed with guilt over wondering if they are at fault for the diagnosis. Addiction should be approached in this same manner. Addiction is a debilitating disease. We believe that substance abuse disorders make the person “sick”, not “bad.” An addict’s family, and all of its participants, are not responsible for their loved one’s disease. The family can, however, be a great source of help and guidance once addiction has set in. Addiction may only afflict one person in the family system; however, the whole family suffers. This is particularly true when it is your child that is on the path the destruction. How Do Children Become Addicts? The family system is a very powerful tool in aiding the addicted child to accept help for their problems. Although, it can seem true that the family has little influence on their adolescent members, this could not be further from the truth. Our children look to their family for guidance, support, answers and approval. The brain of the adolescent is still undergoing important developmental growths and processes. Children do not yet have the ability to always think things through logically and rationally. Adolescents can be described as: impatient, rebellious, moody, and geared towards instant gratification. These characteristics are indicative of normal adolescent responses. They are actually exactly where they are supposed to be, even if it does not feel like it! Your family will meet with a skilled therapist who specializes in treating the entire family. The family will learn that every action induces a reaction. Actions that taken by each member of the family always has an effect on the other members of the family. Everyone in the family plays a specific role in the family dynamics. Brief strategic family therapy will help your entire family create new beliefs and attitudes that are conducive to recovery. Addiction is often a murky and confusing territory. Brief strategic family therapy will provide the addict, and his or her family, new and healthier ways to respond to one another. Our patterns, whether positive or negative, become ingrained. Brief strategic family therapy will plan interventions to correct unhealthy patterns that each family member may have adopted throughout the process of addiction. When the whole family recovers, this boosts the child’s chance to have a successful and long lasting recovery. Your adolescent can break free from the chains of addiction now, thereby allowing him or her to go on to live a healthy, full, happy, and productive life. We believe in treating and helping the entire family. 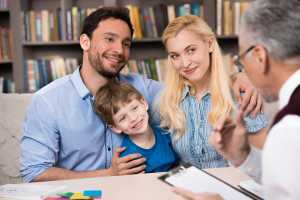 Brief strategic family therapy is incorporated into your child’s treatment plan to serve the whole family. Everyone deserves an opportunity to recover from the devastating effects of addiction.